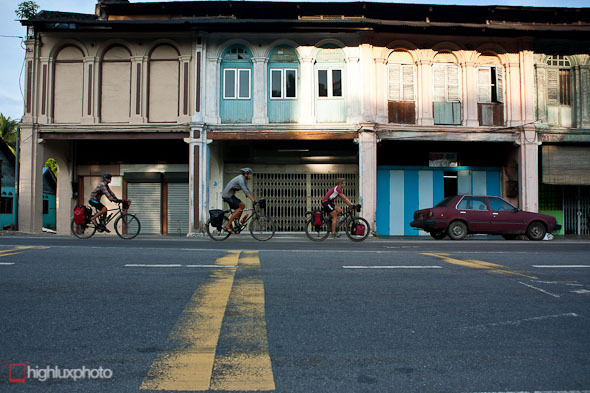 Day 185: Georgetown to Taiping, 91km. Hot and busy highway 1. 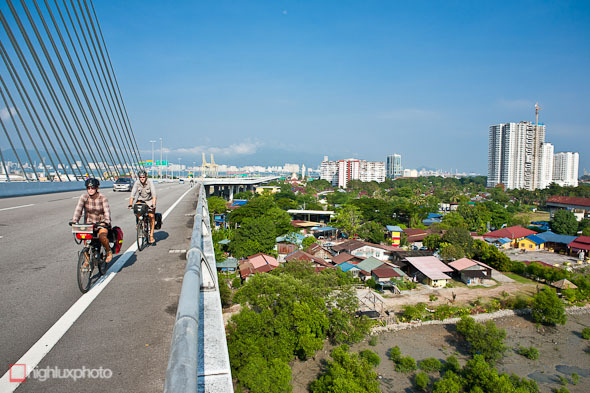 Day 186: Taiping to Seri Manjung, 91km. 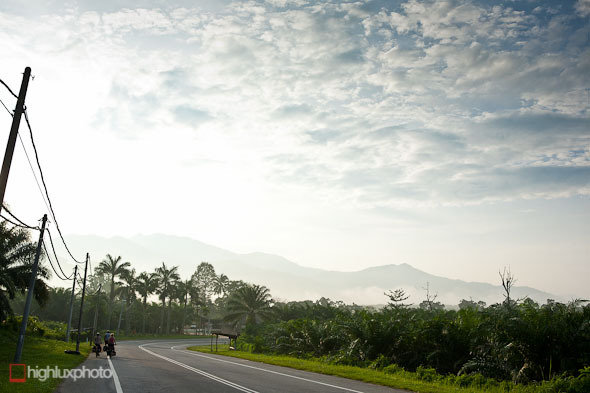 Highway 1 and Highway 60, flat through oil palm plantations. 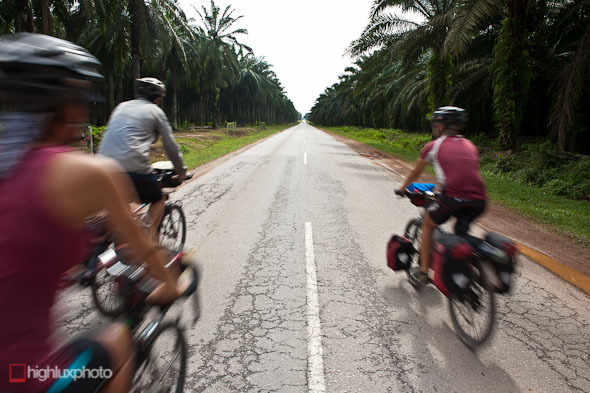 Day 187: Seri Manjung to Sekinchan, 118km. 10,000km today! 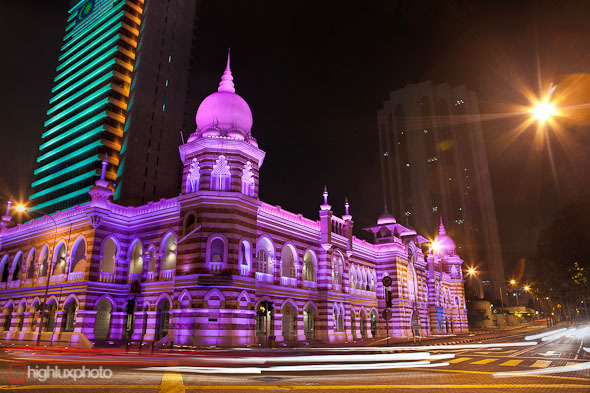 Day 188: Sekinchan to Kuala Lumpur, 106km. Very flat and very wet, backroads then hectic highway into Chinatown. Days 189 and 190: Kuala Lumpur. Georgetown was supposed to be the end of the line for our ride with Ryan and Rebecca: the next day they were off to KL to stay with a friend and then meet family from the UK for a few days. Hana and I were planning to head into the Cameron Highlands for a few days of big hills and cooler temps before then also heading onto KL. From there our plans were a little vague, but we had been thinking about getting a ferry (or flying) to the east coast of Sumatra and heading south for our final weeks. That was until we happened to spread our South East Asia map out on the floor during a few farewell beers with R&R. 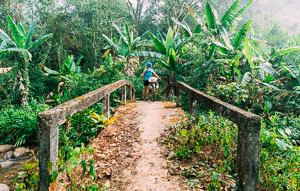 All eyes scanned the map as we looked for a route through Sumatra that would suit our final 5 weeks of riding, and suddenly it seemed so obvious: Banda Aceh – the very tip of Sumatra. Why not start there and try to ride the whole island? 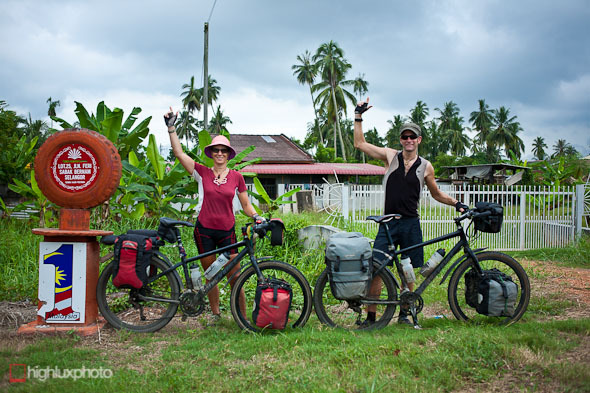 We never thought we were going to have much time in Indonesia, but with Thailand and Malaysia flying by ahead of schedule due to mellow hills and fast highways we’ve got change in our pockets. It doesn’t take long to calculate a rough route down the west coast and through the highlands with Google Maps and soon we’ve got the distance: 2500km. We figure out if we have one day off in every 5 we need to average 83km/day; easy to achieve if it’s flat/rolling (in fact we’d buy time with our typical flat days being 100-150km), but potentially challenging on the highland roads, which reach 2000m in parts of Sumatra. It looked like the perfect mission to bookend our 10,000km trip from Chengdu with: a remote and wild island, tsunami-battered and brimming with huge jungle ranges, volcanoes and new cultures. We’re in! 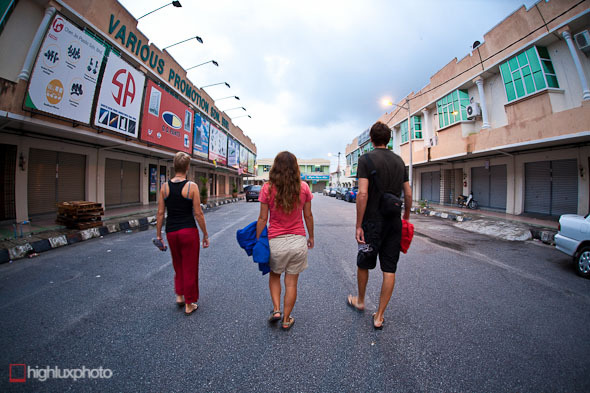 The other upside to this plan is that we’d get to hang out with R&R for a few more days until we hit KL, where we’d fly to Banda Aceh. Next morning, we were on the road as a smooth 4-person train again. The road south from Butterworth (the coastal stopping off point for Georgetown) was hardly quality touring; with four lane highways and busy traffic. After 91km we stopped for the night in Taiping. One of the great things about cycle touring is that it means you get to stay in towns that tourists don’t otherwise stop in; this means we cop a lot of stares, but we also get to experience genuine local food and our fair share of seedy hotels. We successfully converted Ryan and Rebecca to our 5am wakeup regime from day one. Some mornings they aren’t so chipper though! Where we could we got off the main highway and enjoyed some quieter roads. 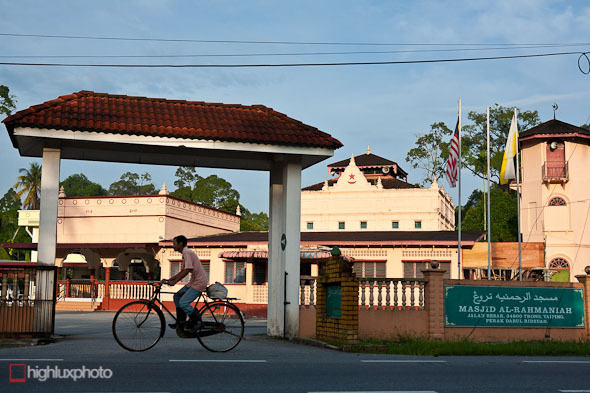 Small town mosque complex on the way to Seri Manjung. 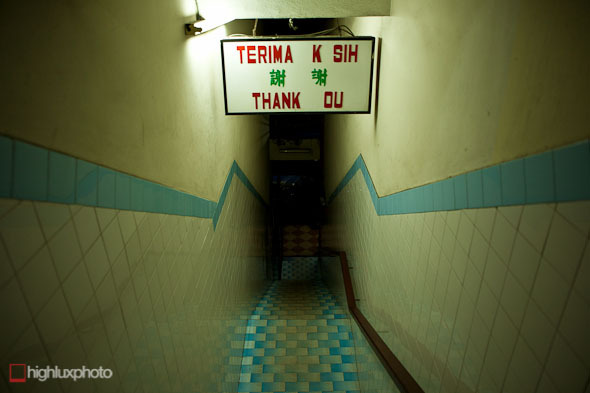 Many of the smaller towns have intact colonial-era shop houses and a classic Indochinese look. This man told us his ancient bike came from the UK; probably on the first ship to arrive here! When you’ve done 90 clicks by lunchtime and it’s 36 degrees out, it’s quite nice spending the afternoon in an airconditioned room. On a nondescript stretch of highway enroute to Sekinchan Hana and I clicked over 10,000km on our odometer – the contiguous distance we’ve ridden since leaving Chengdu back in April. 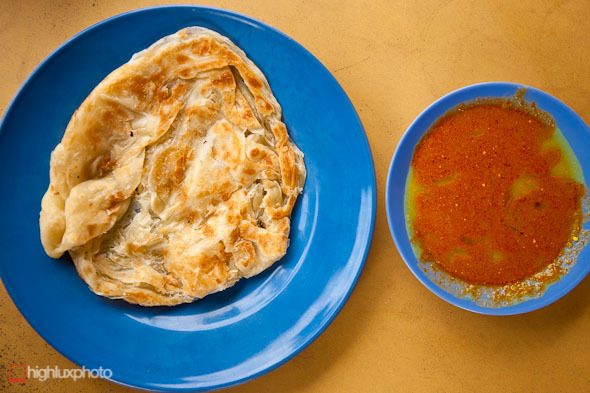 Roti Cenai’s been the fuel for our efforts in Malaysia: morning tea, lunch, dinner … anytime. Most of the route south from Butterworth has been through endless palm oil plantations; clearly a massive industry here. 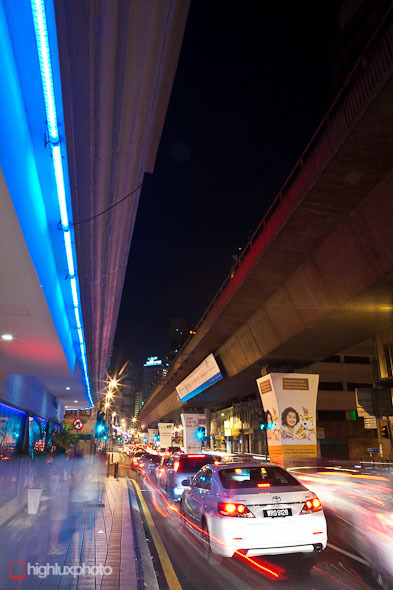 To get into Kuala Lumpur we battled spaghetti junctions and 6-lane highways ablaze with fast moving traffic and our adrenaline was sill coursing when it came time to part ways with R&R. 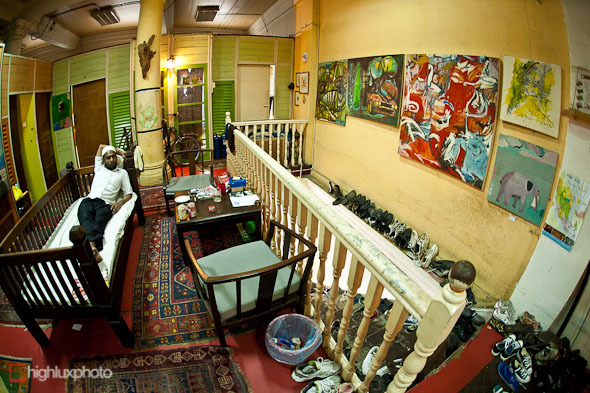 They were off to stay with a friend and we were looking for a cheap room in Chinatown; we found one at the Le Village guesthouse. 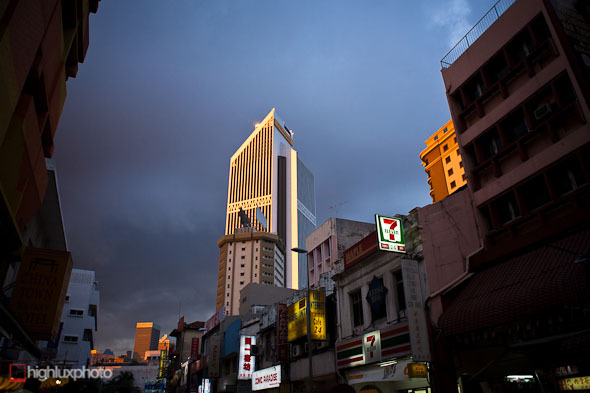 Evening light catches a skyscraper in KL’s Chinatown. 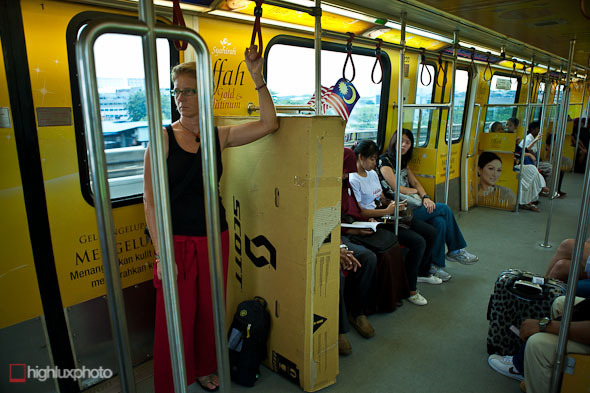 We had two days in KL, but it was mostly spent sorting out the final leg of our trip: we had visas to arrange, needed to buy new tyres and had to get some bike boxes, and then pack the bikes for the flight to Banda Aceh. 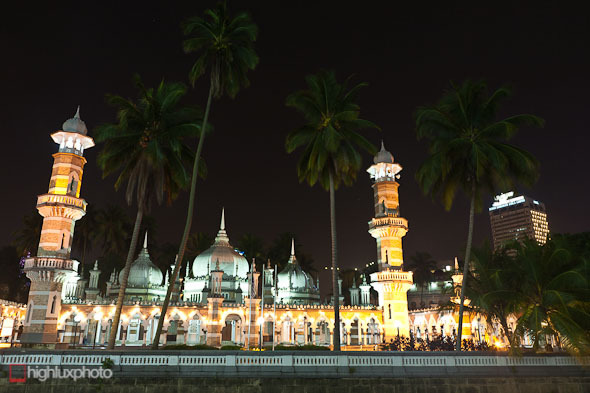 After a visit to the Indonesian embassy we discovered we could get visa on arrival in Banda Aceh (previously unavailable), and could extend them in Padang. 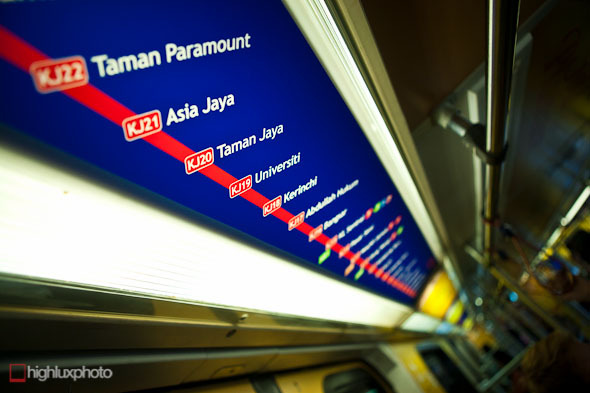 Consequently we got to know KL’s rail system quite well! 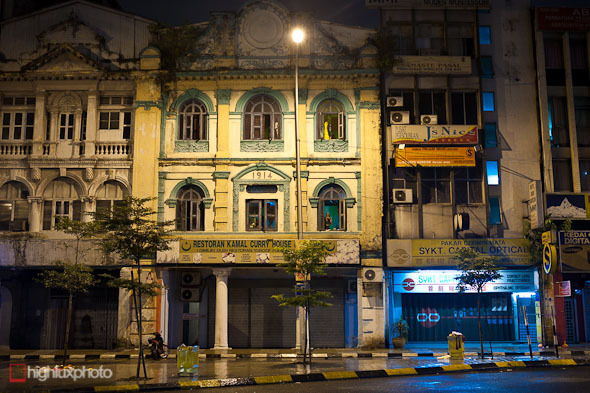 Some older buildings in KL’s Chinatown. Our guesthouse is the one in the middle. Photos and blog brilliant as usual. I can’t wait for the first Sumatra one!